It’s Saturday evening, the first one in January, and my beloved and I are enjoying a night in watching the Twenty20 return match, Renegades v Stars. Looks as if it’s a sellout at HCG and it’s going to be an engrossing game, particularly after the Renegades’ recent away win at the MCG. 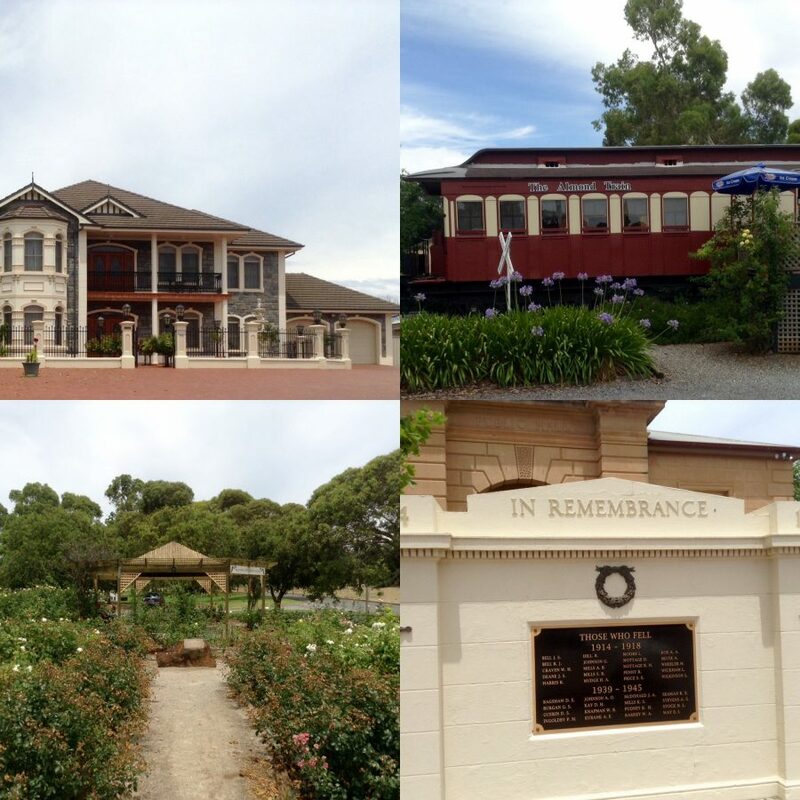 We left Melbourne on Wednesday morning and drove via the Victorian goldfields to Horsham. Almost as soon as you leave downtown Melbourne, by way of the Old Melbourne road aka Western Freeway, the landscape starts to undulate, with vast expanses of yellow scrub punctuated by trees, the odd farm and plenty of small semi-industrial buildings. 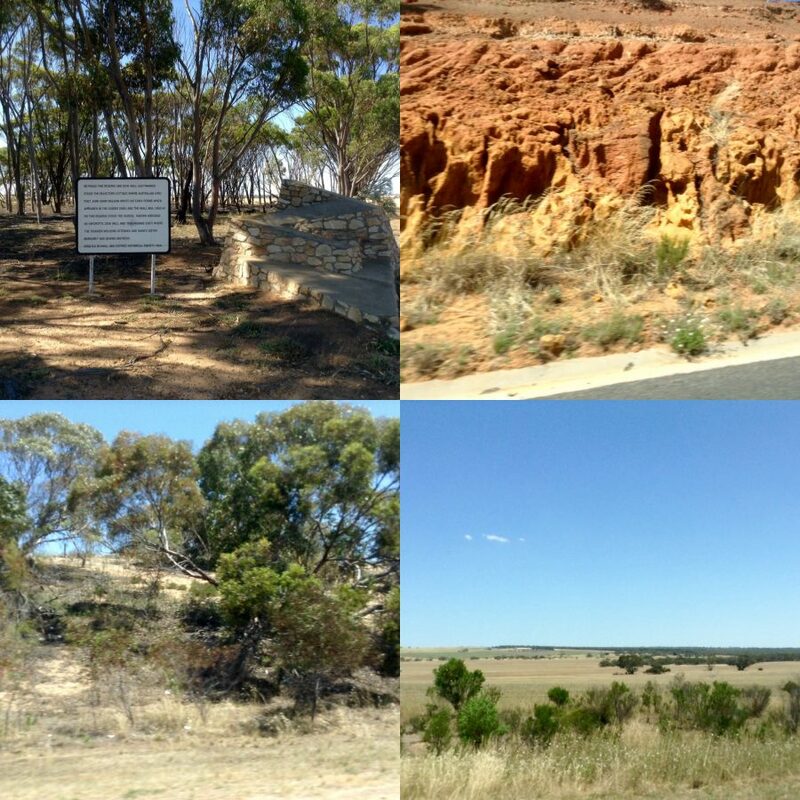 The scenery becomes more interesting as we near the former gold prospecting town of Ballarat, for a coffee stop. Those combine harvesters have been hard at work, leavings golden, neatly stacked bales of hay and straw harvested fields framed by more trees. The pastures turn lusher and greener as we head to Ararat, and lunch at a local cafe. Now they’re dotted with flocks of sheep, grazing horses and herds of cows as we drive towards the Pyrenees and Grampian Hills, yet another wine producing area. 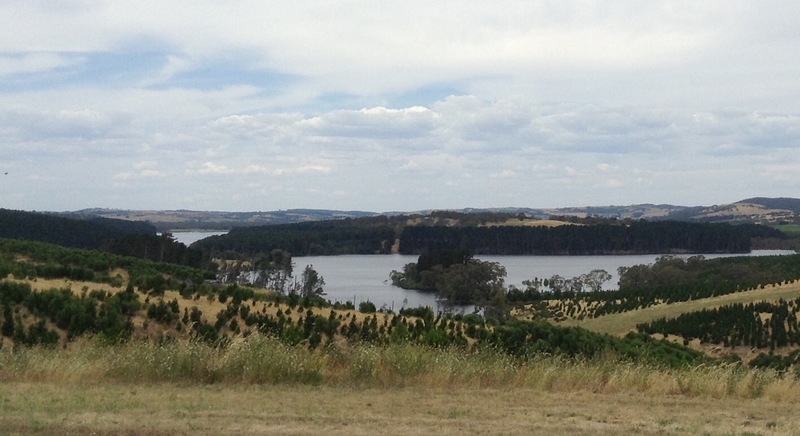 The Grampian Hills’ national park is on our left as we drive along flat plains punctuated by the occasional man made lake. 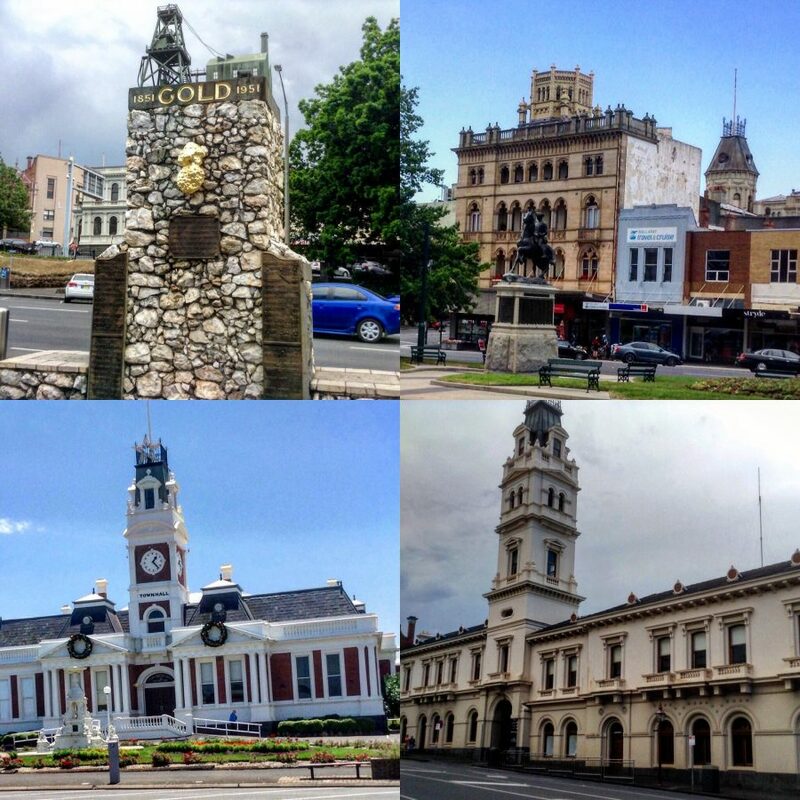 We drive to Horsham, the main town in the area, and an overnight stay in a motel. It’s clean, spacious, well-rated on booking.com and Trip Advisor but the decor’s dark and depressing. However, it’s just somewhere to rest up. We case the town for our evening meal. Many of the cafes close at 5pm, there’s numerous takeaways but the only place that’s buzzing is the local hotel (pub). It turns out to be a good choice and on the way back we spot a juice bar for the following day’s breakfast. Once past the Pyrenees and Grampians with their fruit, olive and vine laden slopes we’re onto the flatlands where you can see for miles and miles. Golden fields awaiting the combine harvester, golden stubble being picked over by the birds and huge silos with mountains of grain, walls of baled hay and straw. This really showcases the green and gold of Australia set against a brilliant blue backdrop. 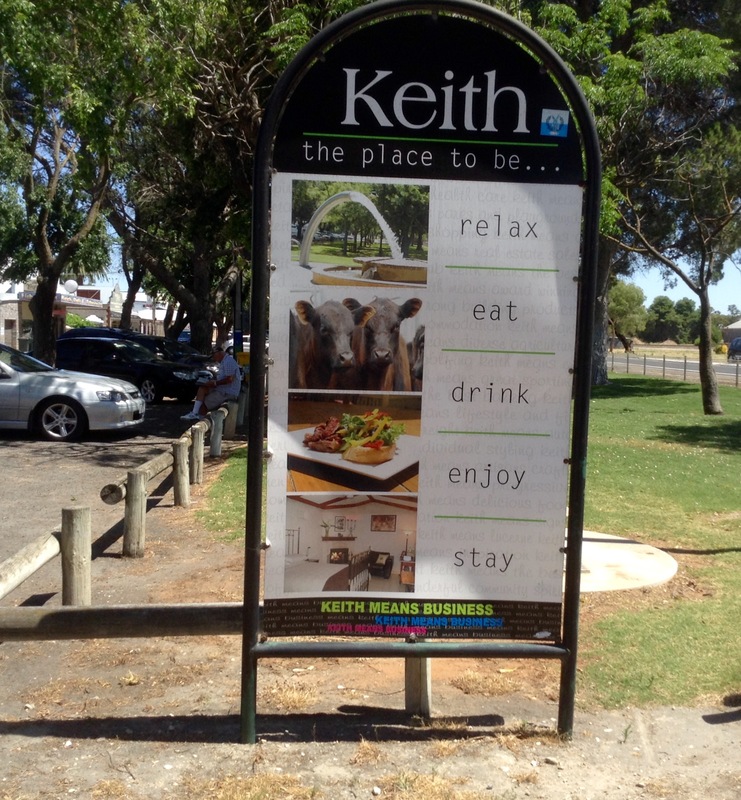 We have a coffee stop in Keith and then the land starts to undulate once more and the earth becomes sandier. As we near Adelaide, the countryside flattens and becomes scrubby again which only the sheep and goats seem to appreciate. 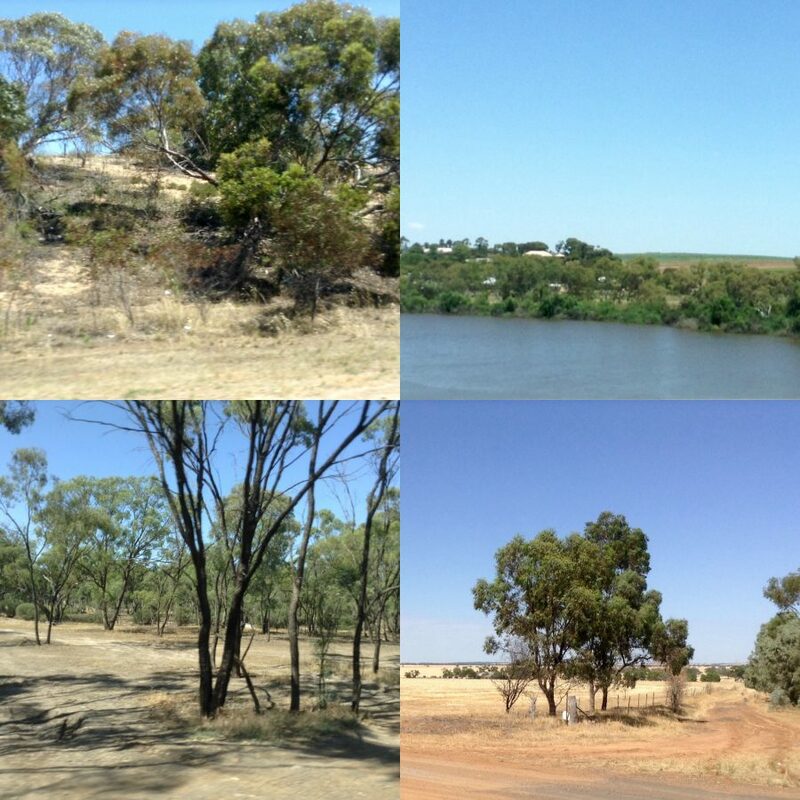 We eat lunch at a restaurant overlooking the Murray river. The closer we get to the city, the greener the countryside. We’re spending the weekend on the beach in McLaren Vale at the request of my beloved. It was an area he enjoyed when we were here last year for the Willunga Hill stage in the Tour Down Under. 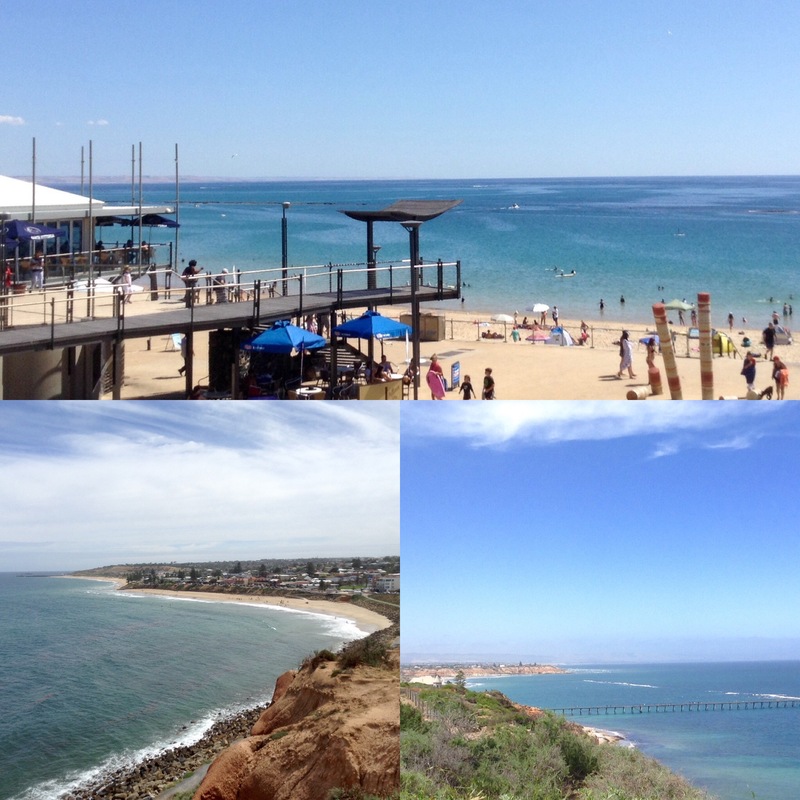 I had booked a family run B&B overlooking the beach in Port Noarlunga. The house was built in 1930 and its interior is very much in keeping. It’s a spacious studio with a balcony affording us a splendid sea view. As my younger sister would say, the weather’s roastin’ and we’ve been basted in factor 50, wearing sunglasses and hats and seeking shade or shelter in air conditioned spots. We had a gentle stroll along the shore and jetty and looked enviously at the bathers splashing around in the cooling shallow water. I couldn’t see any sharks but I wasn’t taking any risks! After our hearty lunch, we settled for a glass of local wine and a few plates of tapas at the local Portuguese restaurant before retiring. When I woke up my beloved had already departed for his early morning ride. I waited for him in the shade as, despite the cloud cover, it was already in the mid-30sC. Too hot to laze on the beach. My beloved was sweating profusely on his return. Revived by a cold shower and breakfast, we decided to drive around the area. First stop, the Farmers’ Market at Willunga Hill to pick up some fruit and provisions for dinner. 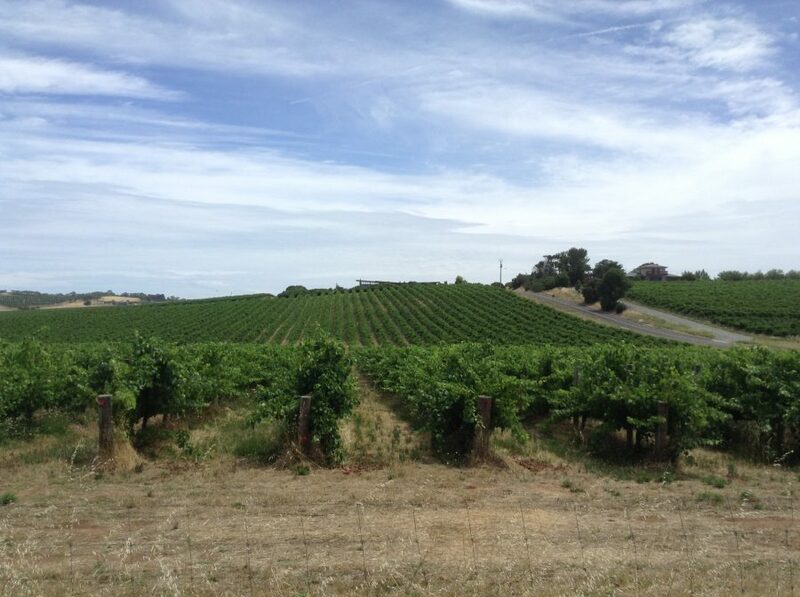 Then we rode up Willunga Hill and drove down towards Kangaroo Island before turning back via the Myponga Reservoir – a great training ride – and then along the coast stopping for lunch at a vineyard cafe. We moseyed along McLaren Vale but couldn’t take the heat. It was time to return and watch the cricket. Fortunately, the mercury fell by Sunday morning and my beloved had a more enjoyable ride before we headed to a McLaren Vale winery for a leisurely lunch. Then we drove to Adelaide and our home for the next two weeks. In case you were wondering, the Stars stormed to 200 runs but the Renegades couldn’t match them, falling well short. doesn’t look like they’re going to make the semis. It’s fabulous. Last year we drove from Melbourne to Sydney, Sydney to Adelaide and then Adelaide to Melbourne via Coonawarra and Great Ocean Road. We’ll drive back to Melbourne again via the Great Ocean Road.